My posts about storage and organizing ideas for your home are hugely popular — I guess many of you either need ideas or love organizing as much as I do. Here are more organizing ideas I’ve found for every room in the house. My dream home would have all of these — wouldn’t that be amazing? 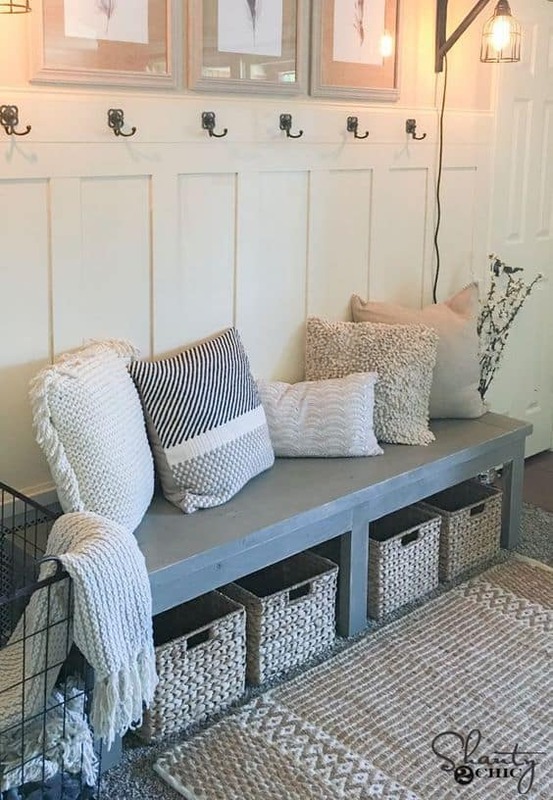 You can add a bench with storage basket in the smallest entry hall to maximize space — something we never have enough of in our Blue Cottage. 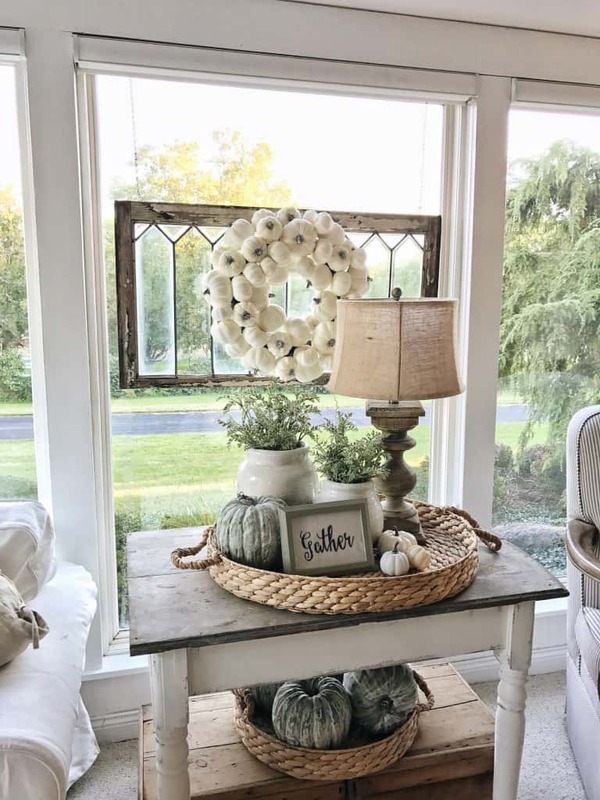 Yes, please: extra storage in a basket right under the table! Organizing toys or art and craft supplies becomes so much easier when you have the right storage for them! 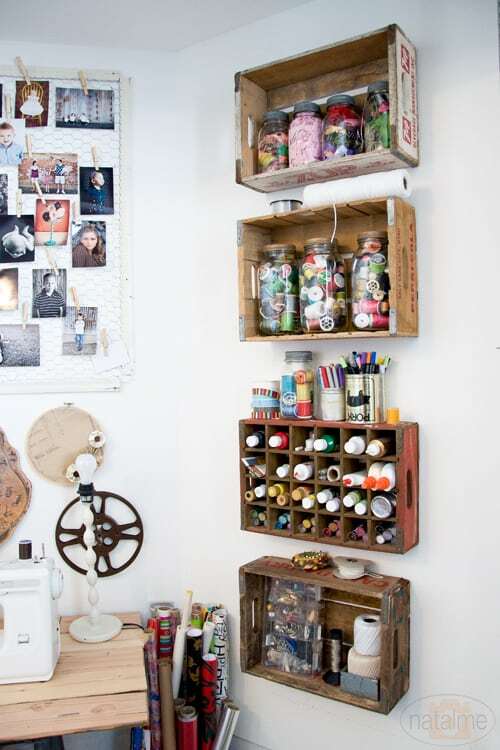 I love this idea of using vintage crates to take advantage of wall space. I like using shoe organizers in several rooms in my house. This one even becomes a window treatment! 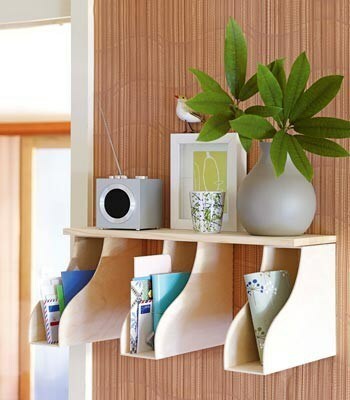 Wooden magazine holders screwed to the wall and topped with a shelf create clever storage. Stack two inexpensive box shelves on top of each other and offset them for visual interest. 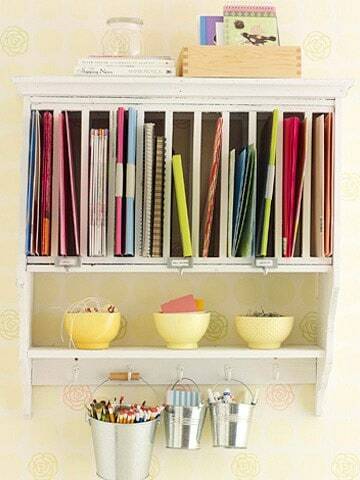 Repurpose a plate rack to store folders, cook books, or magazines. A small tension rod can do wonders for storage, here for spices in the kitchen. 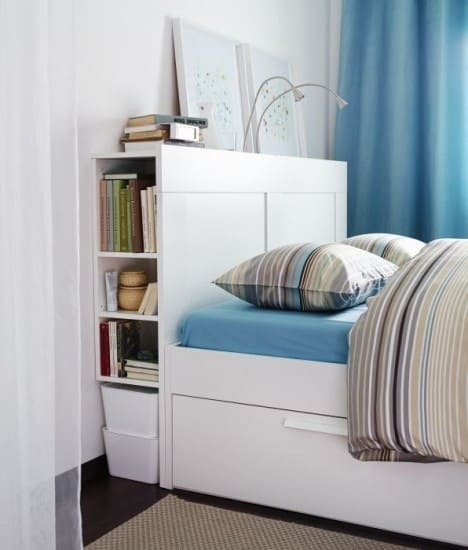 I love this hidden headboard storage! IKEA sells one for one of their beds (we bought it for Landon), or your can build your own. You could do this with any short headboard by just moving it off the wall a bit and adding a shelf. Just hang crown molding in a closet and you have instant storage space for all of your shoes. Genius! Which one of these storage ideas do you love the most? 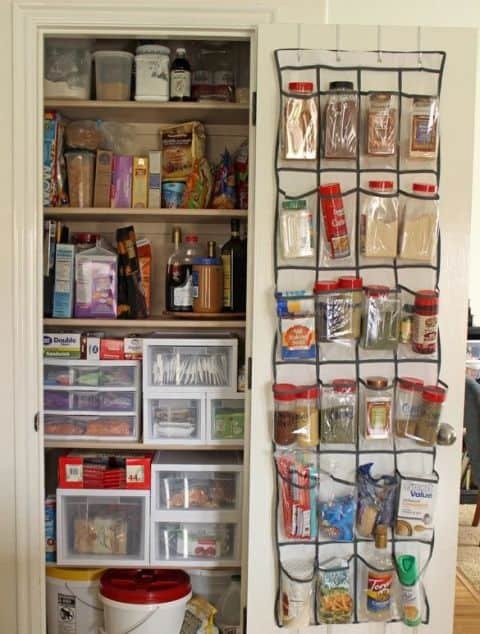 Great idea for organization and storage! I will be featuring this in my Back to School Organization post tomorrow at Merry Monday! These are some really great ideas! I am pinning for later, because I will definitely be trying some of them! I’m thrilled you like them, Cherryl! Awesome storage solutions! Thanks for linking up with us at Welcome Home Wednesdays! I am always looking for new ways to store the toys. They can never be to neat or organized. Thanks for linking up to Merry Monday! Pinned! Have a great week! Thanks for coming by, and the pin! Hi, just discovered your blog yesterday as you have the same name as a relative of mine. I am really interested in the off set shelves picture but cannot find it in your links. I want to know what or how they made the alphabetical storage for disks or could be dvds? Also love the idea of board games in book-like boxes. Do you remember the picture being credited to a blogger showing answers to my questions? Granted I know it’s 10 months later and perhaps you do not remember…just hoping you’ll reply. Dagmar! 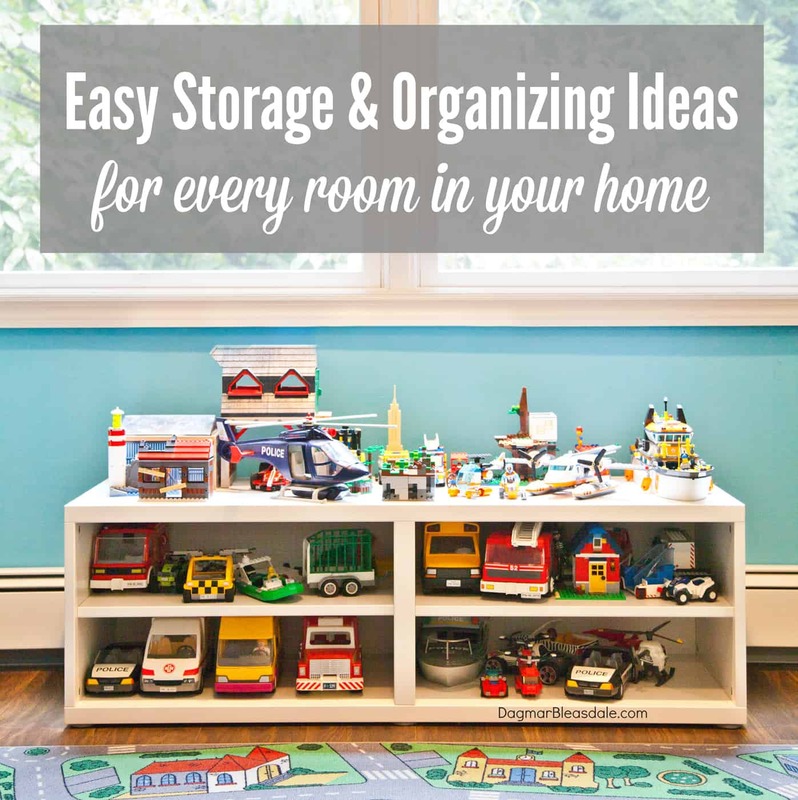 What a great collection of organizational ideas. They are all so stylish. Thanks for linking this up to Throwback Thursdays. I love the idea of using shoe organizers for other things! Brilliant! Oh man! 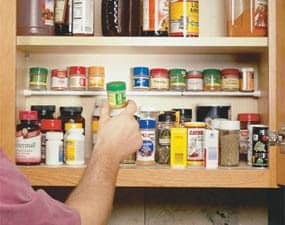 I have to try that tension rod in the spice cupboard trick! Excellent! 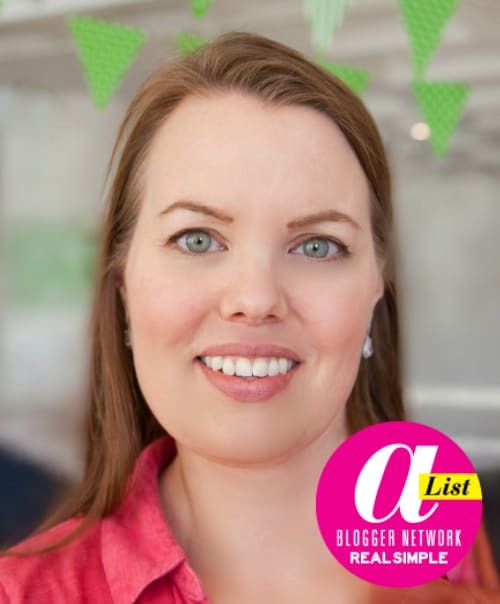 Thanks for linking up to my Organizing link party. 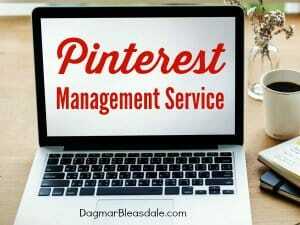 I’ll be featuring your post tomorrow for week 18 of my link party. 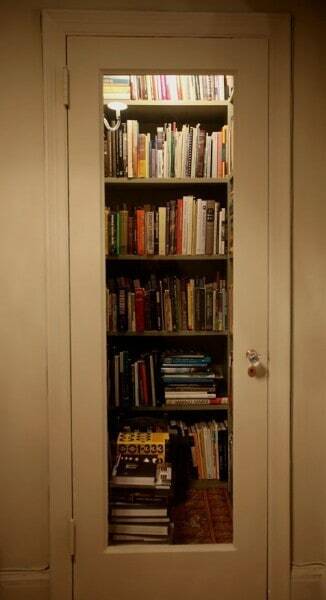 I just love the entryway storage option and the library in the closet idea. Stumbled this post! Thanks so much, glad you like those! Love the plate rack idea! LOVE them all, actually!